Photo provided // Members of the FGCU Wrestling Club (from left to right) Joseph Caraballo, Nicholas Carlson, Jabari Irons, Vinny Levin, and head coach Vincent Levin. Jabari Irons of the FGCU wrestling club received first place in the 184-pound weight class at the National Collegiate Wrestling Association’s National Championship on Saturday, Mar. 16. With this win, Irons becomes the first FGCU wrestler to ever win a gold medal and become a National Champion. 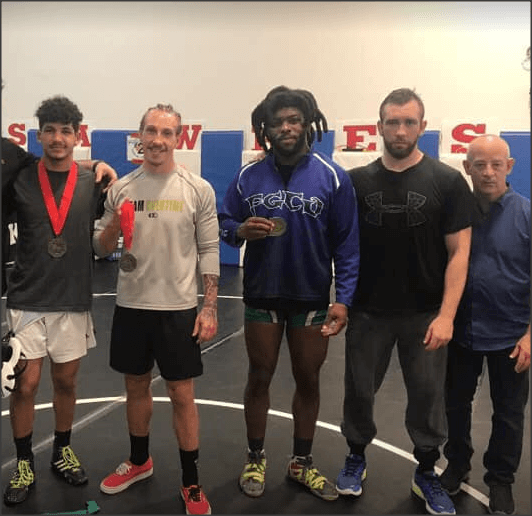 Irons is joined by fellow wrestling club member Vincent Levin in tournament wins, who took home the bronze medal for the 174-pound weight class. Levin is the club’s only two-time consecutive National Bronze medal winner. Overall, FGCU placed 12th of 20 in the tournament, finishing with 52 points, just one shy of tying for 11th place with the University of Akron. Liberty University who came in first place with 201.5 points. 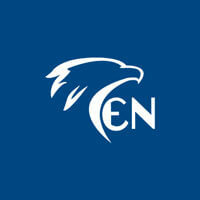 The FGCU wrestling club was established in 2005 and has since been recognized as an official team by the NCWA. In 2014, the team was named the 2014 NCWA D2 National Champions.